Cecil has short, blond hair and crystal blue eyes. She is rarely seen without a cordless microphone in her hand. 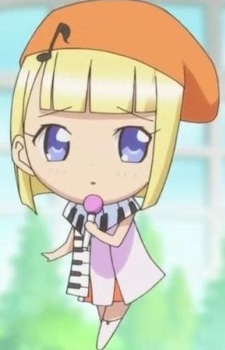 A scarf of piano keys is around her neck, she wears a white dress and white boots, and an orange beret with a music note is on her head. Cecil is an optimistic and musical character. She always tends to think of a song off the bat, then sing it after announcing "And now I'll sing...".